Original period manufacture. 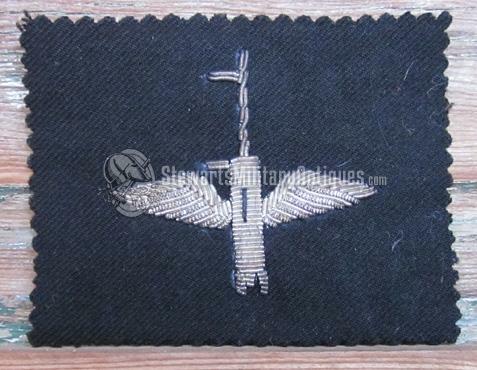 Beautiful silver wire embroidery on dark blue wool backing material. Never used.